Saleabration and Occasions Catalogue Start today! It's time for the launch of our biggest promotion of the year, Saleabration! Today also is the launch of the 2017 Occasions Catalogue and it's also my 10th Anniversary as a Stampin' Up! Demonstrator - woohoo! 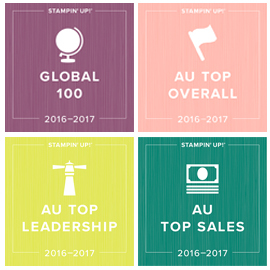 Get 2 free stamp sets (total value up to $179) in addition to $235 free merchandise (so up to $414 worth) for just $169 and free postage. choose your starter kit and then choose products up to the value of your kit which is $235 (you can't go over, it has to be up to so it's a good idea to make some notes of what you want first and work out the totals. 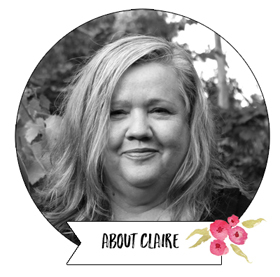 The starter kit will then be sent postage free within 2 business days to your address. You will also receive emailed details from Stampin' Up! re how to access the demonstrator website. I will also be notified you have joined and begin the process of welcoming you to the team forums. I'll be back soon with samples of the great new products in action.